Discover how you can improve the quality of your work and increase productivity in the shop using a Laser Welder. 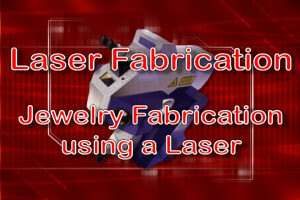 Lasers are fast becoming an essential piece of equipment in the jewelry shop, and these television series will show you why. 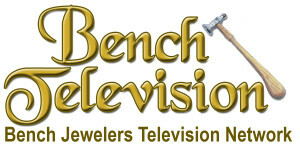 Receive Full Unlimited Access to all shows and all episodes in those shows on the Bench Jewelers Television Network including all the Laser Welding shows. Full access granted as long as your monthly membership is current. Only $27 per month. Learn from one of the foremost Jewelry Laser Welding Experts how to use the Laser Welder to simplify setting jobs. 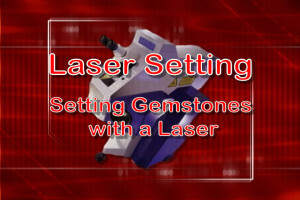 Lasers are fast becoming an essential piece of equipment in the jewelry shop, and this television series will show you why. In this series you will learn how to effectively set fragile and hard to set stones, as well as new methods to set stones that are impossible to accomplish with traditional setting methods. In addition, you will learn how to use the Laser Welder in conjunction with traditional setting techniques to finish prongs and perform other steps in setting. Retipping prongs is a breeze using a Laser if you know the proper techniques. 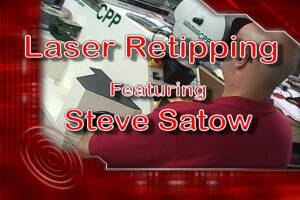 In this television series Laser Welding Expert and Master Jeweler Steve Satow demonstrates retipping and replacing prongs, beads, bezels, channels, and more on diamonds and heat sensitive colored stones using a variety of procedures including innovative techniques. Discover how you can improve the quality of your work and increase productivity in the shop using a Laser Welder. Discover how you can use the new technology of Laser Welding to make repairing jewelry easier and more profitable. Whether you are just starting out using a Laser Welder or are an experienced user desiring to learn more, this show will provide tips, tricks, and techniques that will improve the quality of your work and increase productivity in the shop.